Throughout the winter, it’s almost impossible to keep the inside of your car clean, with muddy shoes, wet leaves and sodden coats bringing the outside in. This can spell disaster for car mats, carpets and upholstery, and leave your car smelling damp and covered in nasty germs and bacteria. Thankfully, there are things you can do to keep your car interior clean in winter, and we show you how in this practical car care guide. With rain and snow comes mud and moisture – bad news for your interior fabrics and trim. After a few trips out in wintry weather, the inside of your car can start to look like a ploughed field, especially if you’re travelling with kids and the family dog. Here, we look at ways to clean and protect car upholstery in the winter. Mats take the brunt of winter, so you need to take care of them. We’d recommend investing in a set of rubber mats for winter use, as these are water and dirt resistant, can be easily washed, and offer the best protection for the carpet underneath. If you’d prefer to stick with carpet mats, take extra care to protect them against the worst of the weather. Consider keeping another pair of shoes in the car so you can change out of your muddy boots after walking the dog, or else cover the mats with plastic or newspaper. If the mats do get wet and muddy, use Simoniz Upholstery & Carpet Cleaner to remove the worst of the dirt, and hang them somewhere so they can dry out between journeys. Leave wet mats to fester in the car, and they’ll soon start to smell. With mud and leaves clinging to a wet carpet, your car can start to smell and if you don’t clean the stains quickly, they can be hard to remove. To clean interior carpet that’s suffering the effects of winter, make sure it’s completely dry before you try to remove any mud or dirt, as scrubbing it while it’s wet will only make it worse. Hoover first to get rid of loose dirt, before using a carpet cleaner to scrub the affected area. Leave the carpet to dry again, before applying our Odour Neutraliser spray, which removes bad smells from carpet fibres. Doing this every time you take the car out in bad weather can be a bit of a chore, so invest in some mats or carpet covers which you can wipe down more easily. Top tip: Invest in a rubber liner to protect your car’s boot from wet shopping bags and coats, muddy boots and of course, a big soggy dog. If you’re caught in a downpour, you just want to be able to jump in your car for shelter without worrying about the interior. Unfortunately, car seats will absorb the rainwater from your coat, especially if they’re made from upholstered fabric and not leather. While the seats will dry on their own when left overnight, you should treat and clean them beforehand to avoid water and salt marks, and unpleasant odours. The brush head on our Upholstery & Carpet Cleaner is great for cleaning deep into seat fabric fibres, helping to left stains and odour. Spray the seats with an odour neutraliser before leaving them to dry, so they’ll smell fresh and good-as-new. 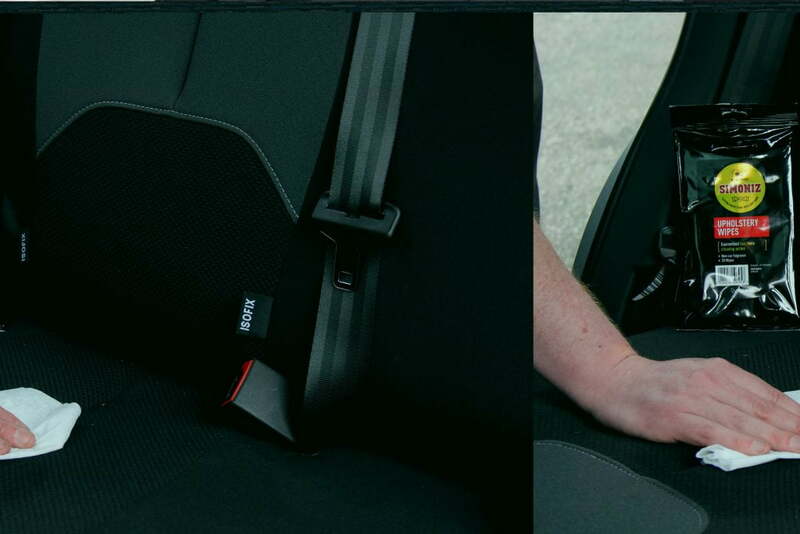 If you spend a lot of time in the car in winter, get yourself a set of seat protector covers, like these, and you won’t have to worry about piling into your car wearing a sodden coat after walking the dog or running from the office. It isn’t just carpets and upholstery that are vulnerable to winter weather. Plastic panels and trim around the door frame can quickly get covered in mud and dirt, while the dashboard, steering wheel and other upfront controls are liable to collect cold germs and bacteria from sneezing drivers and passengers. We make it easy for you to keep interior plastic clean throughout the winter. Plastic panels covering the door sills are prone to scuffs of mud and dirt as you get in and out with muddy shoes. This is the same for other panels in the driver and passenger foot wells. The best way to clean plastic trim like this is with a dedicated cleaner, like our Foam Action Dashboard Cleaner. This product has a foaming action that’s great for removing ingrained mud and dirt from all plastics within the car; use with a microfibre cloth for the best results. Car dashboards and controls harbour millions of germs and bacteria, increasing the risk of spreading winter colds and flu from driver to passengers or vice versa. We’d recommend keeping a pack of antibacterial cleaning wipes in your glovebox so you can wipe down the dashboard, steering wheel, arm rest, gear stick and handbrake when you’ve been sneezing or have a cold. After using an antibacterial wipe, use the Simoniz Dash Restorer Pad to restore the dash to its original appearance, ensuring that it’s fully protected and smelling fresh and clean. Condensation can be an annoying side-effect of driving in the winter, and it’s easy to smear the interior glass when removing moisture on a cold morning. You need to make sure that glass surfaces are clean and free from streaks and smears in the winter, as low sun can cause dangerous sun dazzle. Always keep a demister pad in your glovebox to absorb excess moisture and condensation, and clean the windows on a weekly basis to ensure complete visibility. We’d recommend carrying a pack of glass wipes in your glovebox to clean glass surfaces on the move. Get an organisation caddy for the boot, where you can store all those winter driving essentials such as de-icer, antibacterial wipes, and an ice scraper. Condition your leather seats. Cold temperatures can pull moisture from the leather, causing it to dry out and look tired. Our affordable Leather Wipes are a simple way to restore nourishing natural oils to leather upholstery. If you drive a convertible, make sure you clean its canvas top regularly in the winter, as excess moisture can take its toll. If it’s freezing, make sure you remove ice and snow from the roof, and park in a garage where possible. 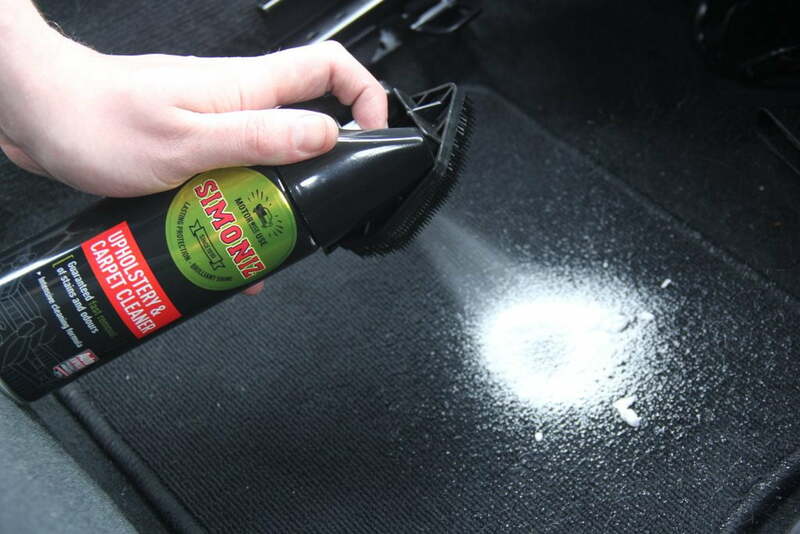 At Simoniz, our trusted products can help you protect your car inside and out, whatever the weather. For more information, visit the homepage.